Offering ultra contemporary styling, the 900 Single Handle Low-Arc Bathroom Faucet from MOEN brings a clean, minimalist aesthetic to your home with geometric forms and squared corners. Certified to meet WaterSense criteria for efficient water conservation, this elegant faucet also features ceramic disc valving to help prevent drips, making it an eco-friendly option for any bathroom. Pair with other pieces from the 900 collection for a complete, polished look. Angular-inspired shapes with soft, curved edges give the Hensley suite a renewed traditional style.The Hensley also features an innovative Spot Resist finish that resists fingerprints and water spots to maintain the brilliance of the original finish and easily wipe clean. Align Two-Handle Widespread Bathroom Faucet in Matte Black (Valve Sold Separately) From large, open master baths to minimalist powder rooms, Align faucets and accessories bring a refreshed modern look to your home with simple lines and contemporary style. 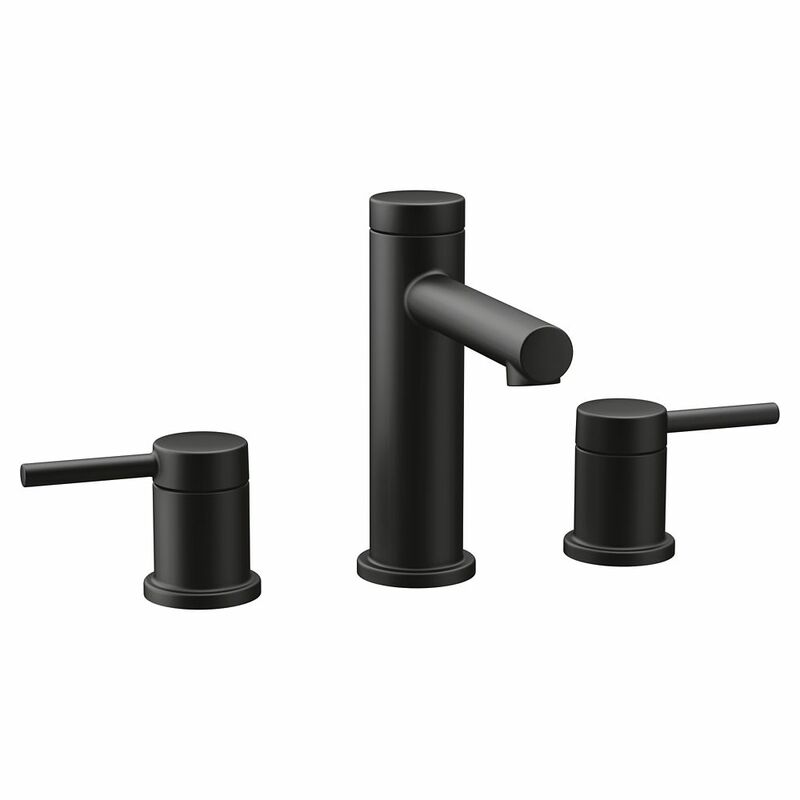 Align Two-Handle Widespread Bathroom Faucet in Matte Black (Valve Sold Separately) is rated 3.0 out of 5 by 1. Rated 3 out of 5 by elsa from Great modern style and the Matte Black is a beautiful finish. Overall assembly went well until th... Great modern style and the Matte Black is a beautiful finish. Overall assembly went well until the drain stopper, which is poorly designed and leaves you with a wobbly drain stop.